Three weeks into my freshman year of college, I failed my first assignment. Like ever. My paper had four marks on it. Four. Three editing marks and one black box with an X in the middle of it. I dropped it on the desk and looked up at my professor. He wore an ivory pin-striped suit and a woven-weave Panama hat with a thick, black stripe around it. He wore saddle shoes. He was an intimidating cross between Tony Soprano and Vampire Bill Compton. “Professor Ziegler?” I asked. He turned toward me, his face icy and disdainful. He arched one eyebrow, spun around, and strode purposefully toward the whiteboard. On it, he dashed out the symbol he’d written on my paper. All of us, together, watched him, breathing short, shallow breaths as we waited for him to bestow knowledge upon us. The sharp intake of collective breath in the room told me I wasn’t alone. I stayed after class and approached his desk. The other students hurriedly packed their bags, and as they filed out I nearly ran after them. In the end it was just the two of us in this quiet, stuffy, third-floor classroom. I nodded, tucking the paper into my notebook. “Thank you, Professor Zeigler.” I made for the door. “I’ll make those corrections tonight and get it to you first thing in the morning.” I turned to go. People who know me might be surprised at the ignominious origin story of my career as a writer, English teacher, and self-proclaimed grammar geek. I love grammar, I spy mistakes reflexively, I hawkishly troll the Internet for ironic examples of misspellings, errors, and inappropriate usage. I think “Respect are country! Speak English!” is my personal favorite. But “Get a brain, morans” is a close runner-up. Let’s be clear, I am wholly understanding of errors made by people who don’t speak English as a first language. I mean, talk about privilege. I promise you, my Russian grammar is far worse than yours in English. But if you grew up here, and do not have a learning disability, I take swift and severe issue with your willful ignorance of that which I know your lovely English teachers passed along to you. 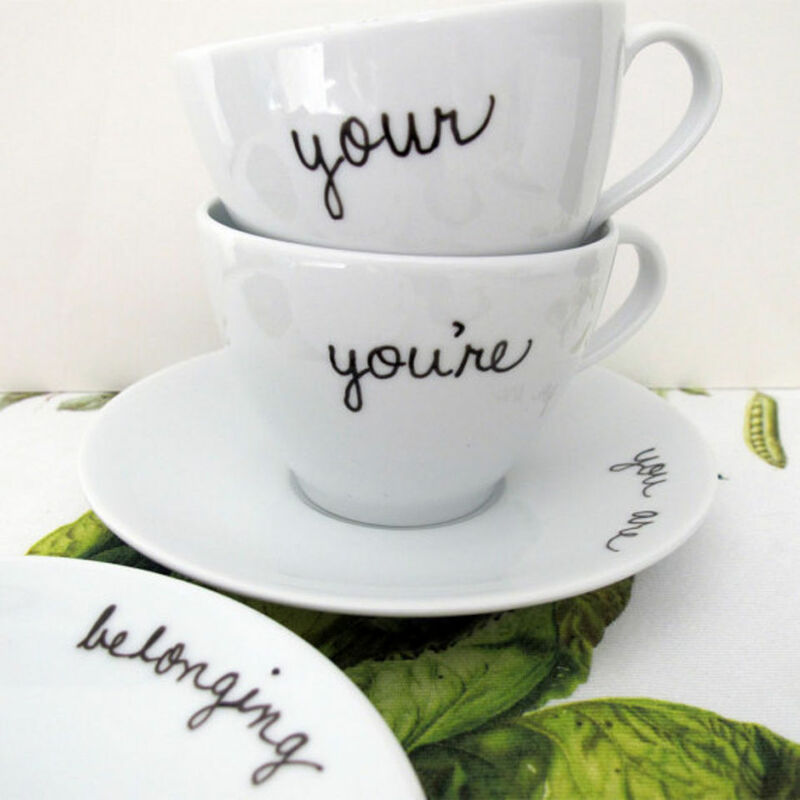 I invite you to celebrate National Grammar Day with me. Which new uses of English force your eyes to roll more quickly than dice in Vegas? What are those transgressions that make your blood boil? Conversely, which correct uses make your heart sing? I hereby give a shout-out to Safeway for their proper quick-check signs: 15 Items or FEWER. I might just kiss the person who ordered those. Tweet, text, post, send me a smoke signal.